As Prime Minister Narendra Modi threw open the world's tallest statue to celebrate Sardar Vallabhbhai Patel and dedicated it to the citizens of India, Opposition parties questioned the ruling Bharatiya Janata Party as to why didn't they think of a bigger statue for Mahatma Gandhi. The Opposition also accused the ruling party of trying to "hijack" the legacy of Independence heroes like Sardar Patel. 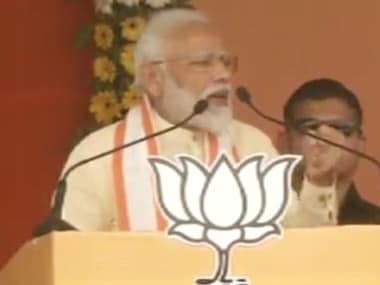 Congress president Rahul Gandhi, taking a jibe at Modi, said it was "ironic" that a statue of Sardar Patel is being inaugurated, but every institution he helped build is being destgroyed while BSP chief Mayawati demanded an apology from the BJP and the Rashtriya Swayamseva Sangh who flayed her over the statues of Dalit leaders her government had installed in Uttar Pradesh. Rahul also alleged that the "systematic destruction" of India's institutions is nothing short of "treason". 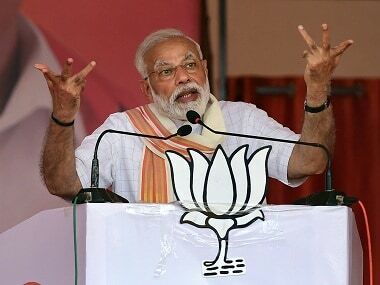 Modi after unveiling the 182-metre structure in his home state of Gujarat on Patel's 143rd birth anniversary addressed the criticism of the decision to build the monument, questioning whether any crime had been committed by constructing such memorials for national heroes like Patel. "We are criticised for praising the contributions of national heroes like Sardar Patel. We are made to feel as if we have committed a serious crime," he said. He then posed a question to the audience, "You tell me, is it a crime to remember our national heroes?". To this, the audience replied in the negative. The Statue of Unity is built in dedication to Iron Man Sardar Vallabhbhai Patel, who served as the first home minister of independent India. Sardar Patel is credited with uniting all 562 princely states in pre-independent India to build the Republic of India -- hence the name of the statue. The date for the inauguration of the statue (31 October, 2018) also marks the 143rd birth anniversary of Sardar Patel. The Statue of Unity will be open to the public from 3 November. 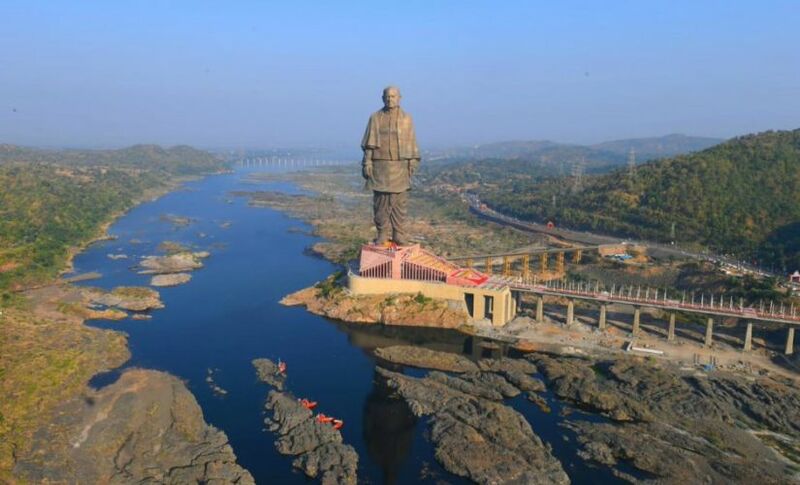 Activist Medha Patkar penned an 'open letter to Sardar Patel' and criticised the fact that lands of adivasi labourers was being encroached upon to build this statue. In the letter, "Can you imagine who has built your new avatar? Many Chinese and some local Adivasi and national labourers have worked overnight on the ‘Sadhu Bet’, a hillock with Adivasi deity of their faith. You would surely ask, on whose land would this statue stand? Whose plan was this? This land, river, forest that your avatar is going to stand on, belongs to Adivasis. The very same people your government and then leaders, Mahatma to Pandit Nehru recognised as villagers with rights, as republics and offered security through Panchsheel. The forefathers of the Indian Constitution, with Babasaheb at the helm, also granted them right to peace and good government, through the Fifth Schedule of the Constitution and later, the PESA Act towards self-reliance." Congress leader Shashi Tharoor said there was no such gigantic statue of Mahatma Gandhi in the country and wanted to know why BJP had not built a bigger statue for him. "The biggest one is in Parliament..But this is a 182-metre statue for his disciple. Why is there such a big statue for a disciple of Gandhiji in the country where there is no statue of that size for the Mahatma?" he asked while addressing a function at the district congress committee office in Thiruvananthapuram. CPI general secretary Suravaram Sudhakar Reddy also echoed Tharoor's sentiments. "Patel, a very simple person, was known as the disciple of Gandhiji," Tharoor said. 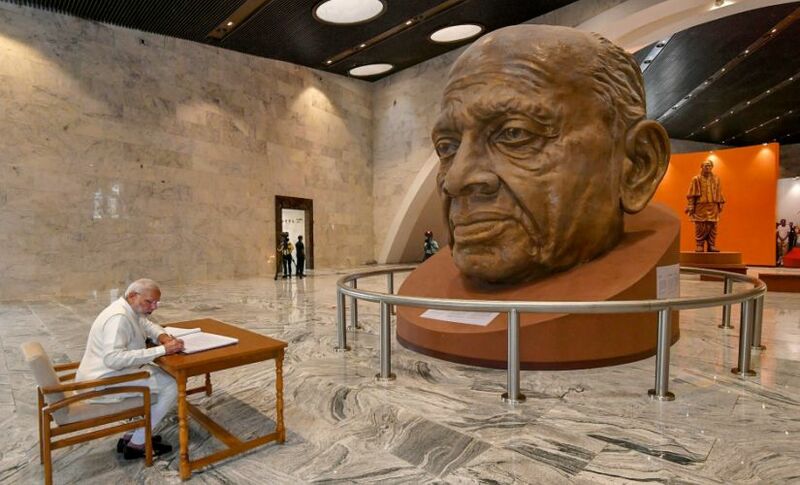 "I am asking a question...Is it right to erect such an imposing statue of Patel, a man of simplicity and a true Gandhian, who moved along with poor peasants," he said. 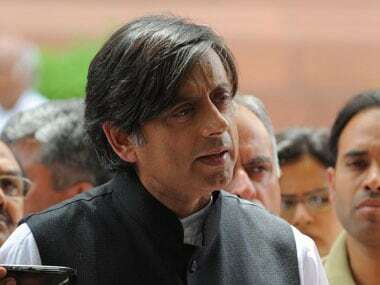 Tharoor said BJP had no answer to the query why they did not erect a bigger statue of the Mahatma. The reason is that they do not believe in Mahatma Gandhi's principles of non-violence, he alleged. He also alleged that BJP was trying to "hijack" the legacy of freedom fighters and national heroes like Patel as they have no leaders of their own in history to celebrate. He said Patel was a Congress leader and BJP should not be allowed to adopt him. Rahul said Patel was a patriot, who fought for a independent, united and secular India. "A man with a steely will, tempered by compassion, he was a Congressman to the core, who had no tolerance for bigotry or communalism...," he tweeted. Mayawati accused the Bharatiya Janata Party(BJP) and its government at the Centre of confining Patel to a region, saying this is an example of BJP's “narrow-mindedness”. "All those in the BJP, the RSS and company need to apologise, especially to the people of the Bahujan Samaj, for terming the statues installed by the then BSP government to honour icons like Baba Saheb Ambedkar and others as wasteful expenditure," she said in a statement released in Lucknow. 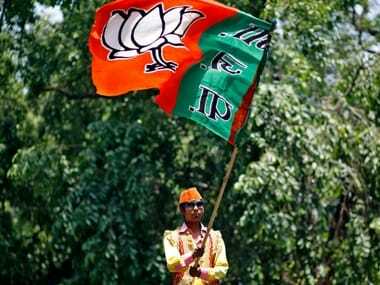 "The people of the country are also wondering if all this is not politics, and if the BJP really had this love for Patel why had they not put up such a massive statue earlier in Gujarat where they are in power for a long time," the chief of Bahujan Samaj Party(BSP) said. Congress leader in the Lok Sabha Mallikarjun Kharge slammed BJP for using the statue of Sardar Patel for their "vested interests." BJP remembering Patel was an "election gimmick", Kharge told reporters at Hubballi in Karnataka. The Congress leader said, "Every year BJP remembers a different freedom fighter--sometimes they remember Patel, sometimes Gandhi for Swachch Bharat Abhiyan and sometimes they remember Dr B R Ambedkar and Subhas Chandra Bose. These are all their election stunts. They never had respect for those who fought for the freedom of India." "Jawaharlal Nehru was the Prime Minister while Patel was Home Minister. Naturally credit goes to the prime minister. It is not good to project somebody to undermine somebody else," Kharge said. Reddy, the CPI chief, demanded to know why a bigger statue of Mahatma Gandhi was not built by the BJP. He said while there was no objection over the monument built for Patel, what was surprising was why a bigger statue for the father of the nation, who was also born in Gujarat, was not thought of. "They (BJP) do not like his (Gandhi's) secularism, that is why they have not taken up (build his statue). Instead, they have gone for Patel, who had rightist ideas," the CPI general secretary alleged. Reddy also charged the BJP with trying to "appropriate" the legacy of Patel. "We have no objection to Sardar Patel's statue. With all due respect to him (Patel), we feel Mahatma Gandhi is the tallest leader of Indian politics...Indian people...he is the father of the nation," he told PTI in Hyderabad. "Mahatma Gandhi's statue should have been bigger, he is leader of the highest stature than anybody else," he said.